Though the name makes it sound like an evil twin, the anti-tragus is simply the area on the ear opposite the better known tragus piercing. 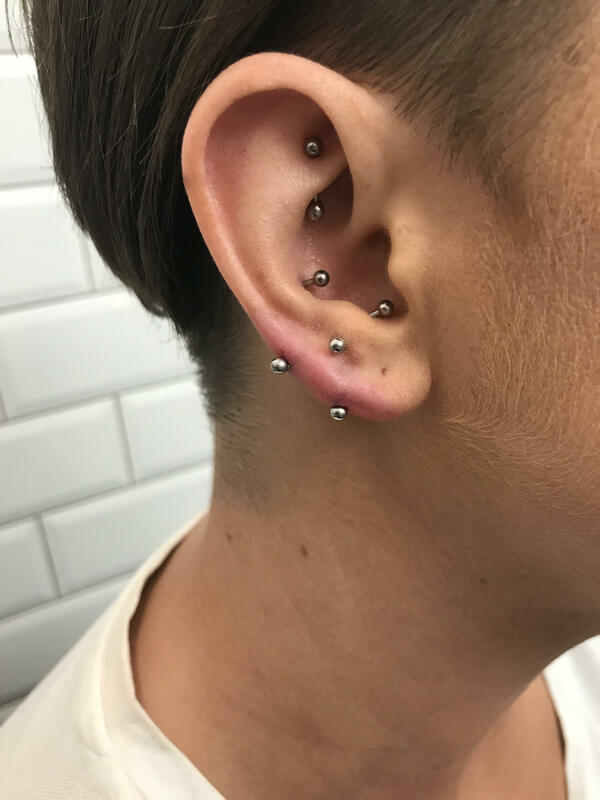 These piercings are first secured with a curved barbell or captive ring and, when healing is going well, can be replaced with a range of different types of jewellery. 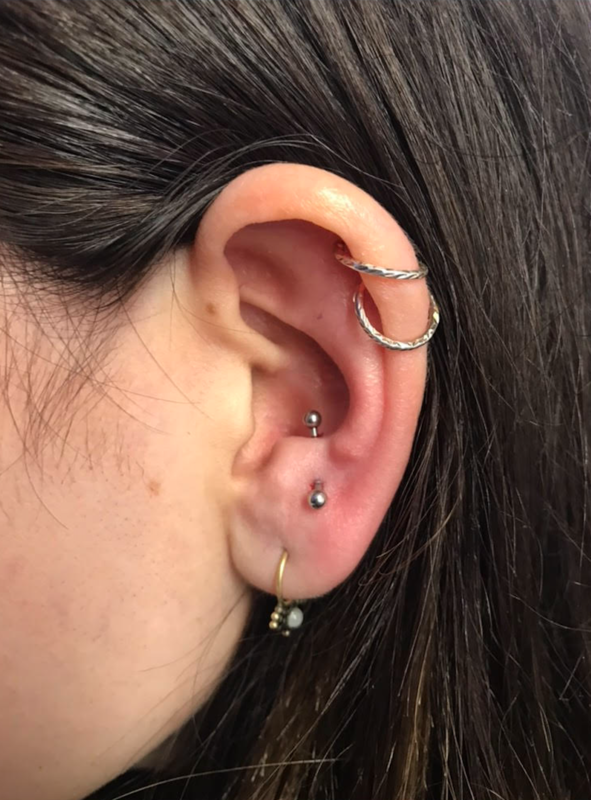 One eye-catching recent trend is linking up the tragus and anti-tragus with a ring to create a loop between the two positions. 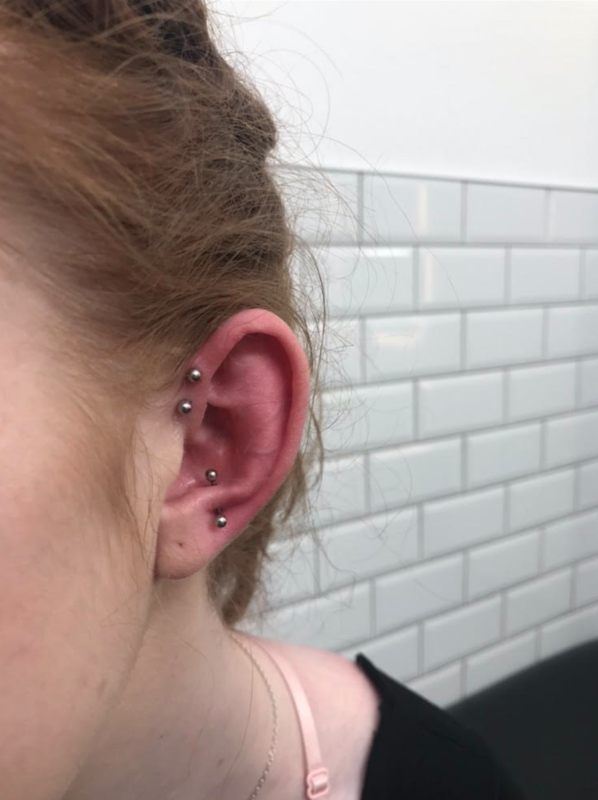 The anti-tragus can also work really well with a subtle, small piece in it – especially when combined with nearby, less-conventional ear piercings, such as the rook, or antihelix. Another interesting variation is the double anti-tragus, which involves placing two piercings alongside each other in this area. Anti-tragus piercings work best on those who have a decent-sized protruding ‘nub’ in this part of the ear. 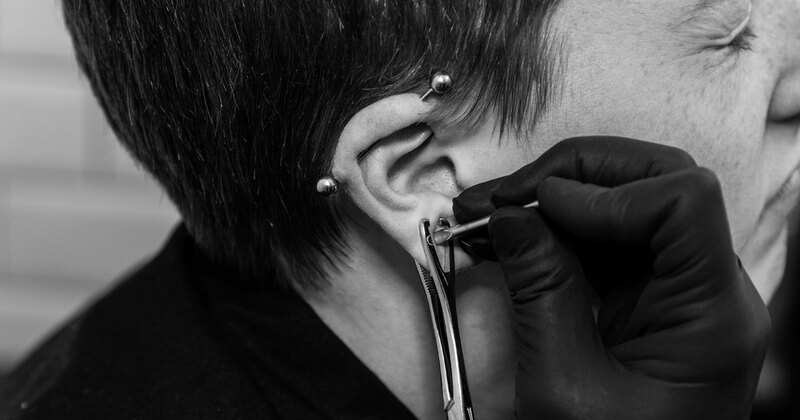 Ask a piercing artist’s advice on whether it would suit your ear shape. Like the tragus, the anti-tragus piercing goes through cartilage, so pain and healing time are quite similar. 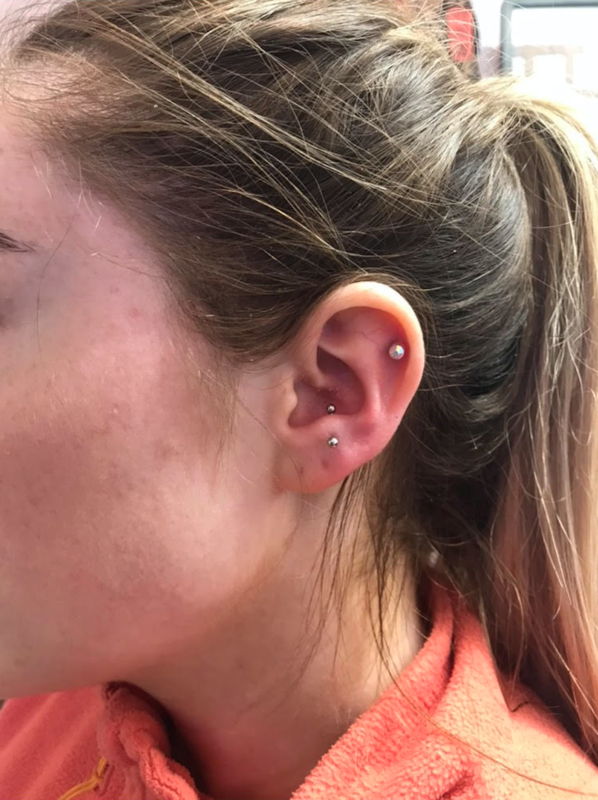 While the anti-tragus is of course more painful to get than a lobe piercing, it’s not altogether different to other cartilage piercings, so if you already have one of those it won’t be no thang. There may be a cracking sound when the needle goes in, but, fear not, nothing bad is going on. This simply happens because the sound is so heavily amplified because of the piercing’s proximity to the ear canal. In terms of healing, the anti-tragus can take a bit longer than some similar types – not just because it’s dealing with cartilage, but in practical terms it’s an area of the ear that can easily come into contact with friction when sleeping, talking on the phone or using earphones. Full healing usually takes around 3-6 months and it’s possible to change jewellery after around 6 weeks.